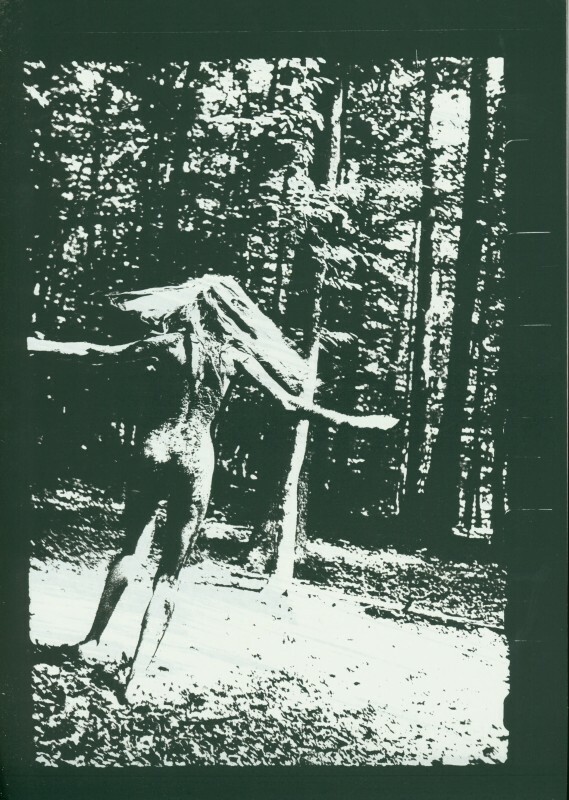 Dutch-born artist Herman de Vries is responsible for this particularly witchy addition to our inventory, Belladonna: A Film, a limited edition (35 copies) handmade artist’s book produced in connection with his experimental short movie of the same name. 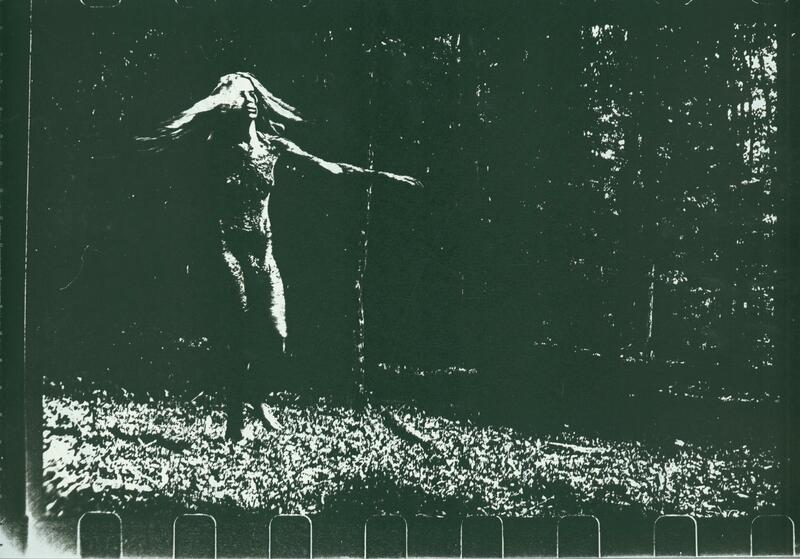 The book features 34 high-contrast still images drawn from the film, printed as high-quality photocopies, most depicting actress BB Grögel as she stalks through the woods in search of Atropa belladonna, a highly toxic (and reputedly psychedelic) plant that is said to have featured in the pagan rituals of pre-Christian Europe. A black and white still from Belladonna: A Film. Still from Belladonna: A Film. In addition to the film stills, a section called “short documentation” offers 26 pages of esoteric, occult, and scientific texts in German and English reproduced from modern, renaissance, and late-medieval sources concerning the physiological effects and ritualistic uses of the plant. Molecular structures of psychoactive compounds found in Atropa belladonna. 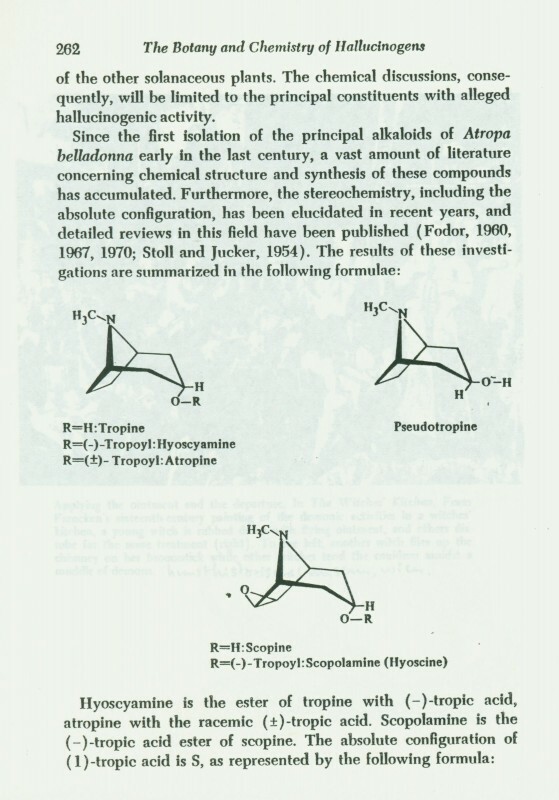 Reproduced from Shultes, R.E., The Botany and Chemistry of Hallucinogens. 1980. Reproduced from Tabernaemontanus, J.T. "Von Wald Nachshatten," Neu Volkommen Krauterbuch. 1731. Another document (reproduced from Hansen’s The Witch’s Garden, 1924) offers a lists of ingredients for witches’ “flying ointments,” which more often than not include water hemlock, creeping cinquefoil, mandrake, and — of course — belladonna. Bat’s blood and the rendered fat of unbaptized children are also mentioned. Yikes! 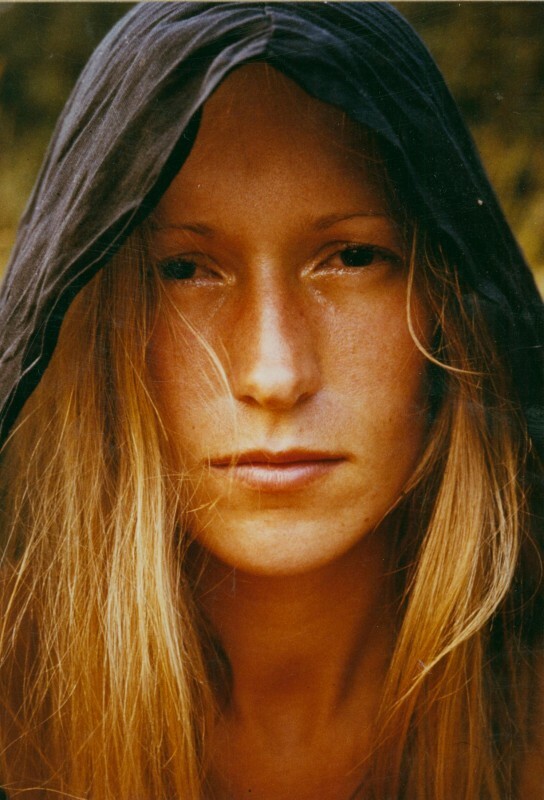 We haven’t seen Vries’ film, but an account on the Web (buried in a large PDF written in German — sorry — available here) says it consists of scenes of Grögel wandering through the woods, disrobing, and anointing her body with the juice of belladonna berries. Although it’s unclear whether she actually consumes any, the climax of the action cinematically reproduces the hallucinatory effects of belladonna intoxication. 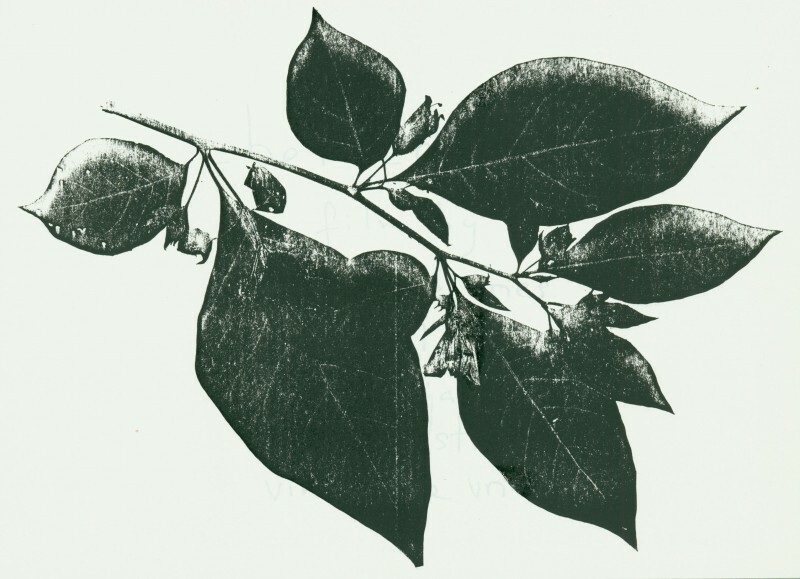 Atropa belladonna, silk screened frontispiece from Belladonna: A Film. If you know where we can view an excerpt online, by all means let us know in the comments!